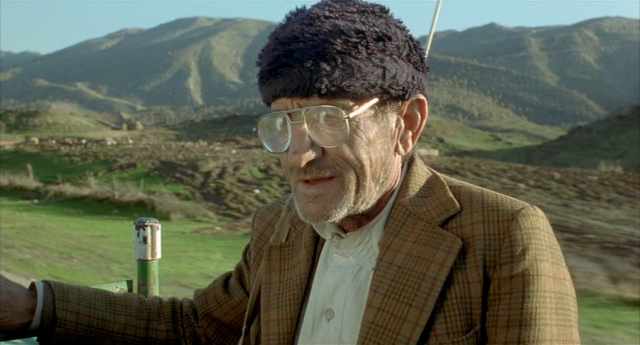 One of my most anticipated films at last year’s Toronto Film Festival was Bahman Ghobadi’s Turtles Can Fly. 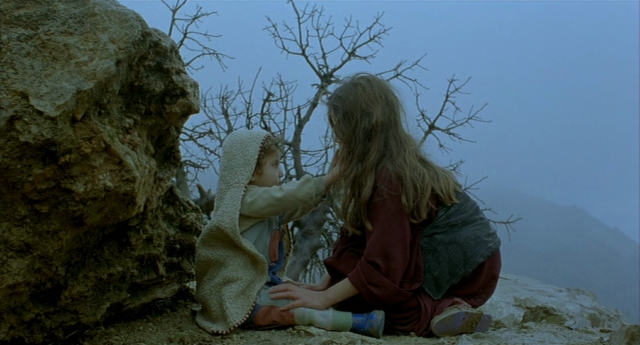 Ghobadi had directed A Time for Drunken Horses, a devastating film about Kurdish children on the Iranian side of the Iran-Iraq border. 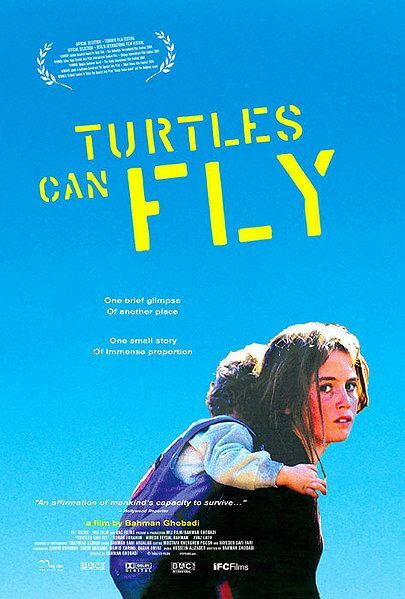 I knew that Turtles Can Fly was going to shift the focus over to the Iraqi side just before the U.S. invasion, and I was more than curious to see how he’d handle the political angle. The politics erupted in Ghobadi’s post-film discussion. Ghobadi, who is Kurdish himself, was assisted by a translator. However, many people in the audience grew increasingly upset with her. She didn’t seem to realize that Ghobadi was using the words ‘Kurds’ and ‘Kurdish,’ and so she translated them simply as ‘Iraqis’ and ‘Iraqi.’ The Kurds in the audience were deeply offended by the perceived slight. The film festival, designed to cross cultural barriers, had only served to highlight the striking differences in that part of the world. Ghobadi is exceedingly familiar with those differences. His first two films focus on Kurds caught in a physical and social no-man’s land. Ghobadi’s characters–two children in Drunken Horses and a father and two grown brothers in Marooned in Iraq–attempt to get across a national border so they can reunite with their larger family. Their difficulty in doing so mirrors the Kurds’ larger situation. Marginalized in Iran and brutally subjugated in Saddam’s Iraq, they have struggled to maintain a cohesive society. Those themes are altered somewhat in Turtles Can Fly. 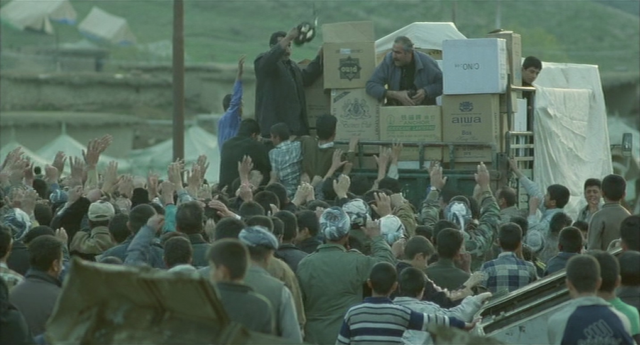 The film takes place in early 2003, and the Kurds await the American invasion, believing that, through this, they will finally gain some measure of autonomy. But Ghobadi is no idealist. He knows the costs of war, and his film presents those with startling brutality. 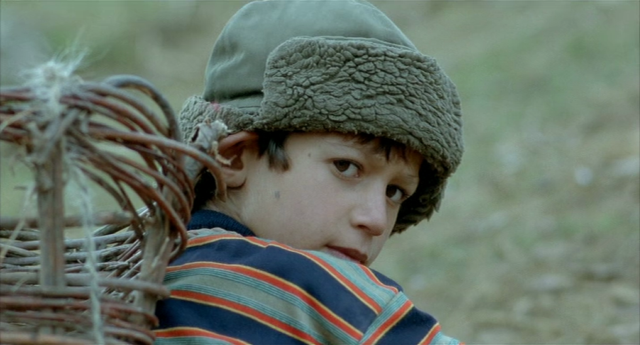 The main character is a thirteen-year-old boy nicknamed Satellite (an energetically appealing performance from Soran Ebrahim) who has made himself indispensable in his Kurdish village by being a wiz with electronics. He also has great trading contacts, to the point where he gets a satellite dish for a village anxious to hear about America’s war plans. Into the village come a girl named Agrin, her arm-less brother, and a young toddler who’s going blind. Their physical handicaps are barely noticeable in this area filled with land mines and the people who’ve been maimed by them. In fact, Satellite marshals dozens of children to clear farmland of mines, and then uses money to feed the numerous refugees. Satellite’s self-sufficient capitalist ways contrast starkly with the village elders who do nothing but sit around the television waiting for news of the invasion. Agrin (played with quiet intensity by Avaz Latif) offers the other side of self-reliance, ignoring Satellite’s offers of help and believing that accepting any assistance will only lead to disaster. Certainly, Kurdish history supports Agrin’s position, though her fatalism is hard to swallow. Ghobadi got his start in movies by working with Abbas Kiarostami and the Makhmalbafs, two pillars of the Iranian New Wave. He’s learned their lessons well, and his neo-realist approach grounds the film in the struggles of the poor and powerless. The Eberts of the world might call it miserablist; I call it a healthy antidote to our 24-hour obsession with the rich and famous. Ghobadi, like Kiarostami and Makhmalbaf, also has a way with finding a metaphorical image that’s both gorgeous and thought-provoking. 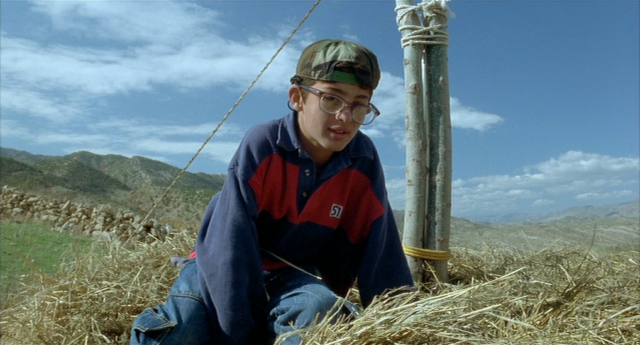 One amazing slow-motion shot in Turtles involves a helicopter flying low over a village. Has it come to bomb? to provide assistance? to deliver troops? Or is it just passing over a village it didn’t realize was on the map? While Ghobadi’s tale is a sad one, he leavens it with humor and spot-on observations of how children interact. The non-professional cast, another hallmark of Iranian cinema, is strong, even in the final act when events grow more intense. Ghobadi, who also wrote the film, has an agenda, one that he laid out in the post-film Q&A. He remarked that everything we’ve seen about Iraq on tv is propaganda. It makes Bush and Saddam out to be the superstars, while regular people are “extras.” Turtles Can Fly is designed to reverse that, making regular people the stars and reducing the dictators (the plural is his) to extras. In that, he largely succeeds. I wish the ending had been a little more restrained, which would have given it an even greater power. There’s so much catastrophe or near-catastrophe we become almost numb. Nonetheless, this is a powerful work, filled with incredibly striking compositions and honest acting and emotions.